THe NECORD is funded by the Asian Development Bank (ADB). 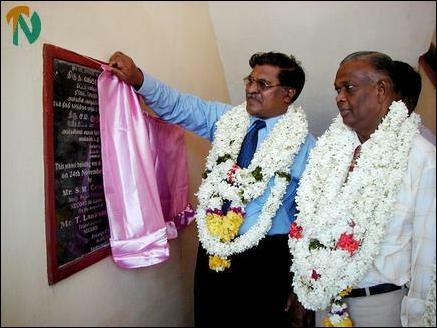 In addition to the new building, the NECORD has constructed three toilets and one set of urinal and attended major repairs to an existing building, which had been in a dilapidated condition to provide better teaching and learning activities to the students of the backward village which is in the Trincomalee Town and Gravets Divisional Secretariat division. NECORD Deputy Project Director Mr.S.M.Croos participating as the chief guest declared open the new building by cutting the ribbon and unveiling the plaque. The Guest of Honour was the NECORD Project Director Mr.T.Lankaneson and the special guests were GTZ-NECORD Trincomalee team leader Mr. Ingo Guhr, NECORD Deputy Project Director Mr.R., Umakanthan, Trincomalee zonal Deputy Director of Education Ms Thevigaranee Murugupillai and Engineer Mr.S.Perasiriyan. Soon after the signing of the ceasefire agreement, ADB Country Director Mr.John Cooney visited the school with DPD Mr. Umakanthan but they were not allowed by the security forces who at that time had been occupying a portion of the school building and students were studying in the other portion of the building sitting on the ground, said Principal Mr.S. Arasaretnam in his welcome address at a meeting held after the ceremonial opening of the new building. He added that the Indian Peace Keeping Force occupied this school when the Indians arrived in the northeast province in 1987. Later the SLA and police came into occupation. 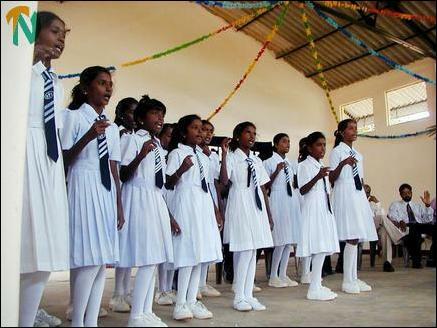 The school had got a new life when the Sri Lankan armed forces left the school with the signing of the ceasefire agreement last year. 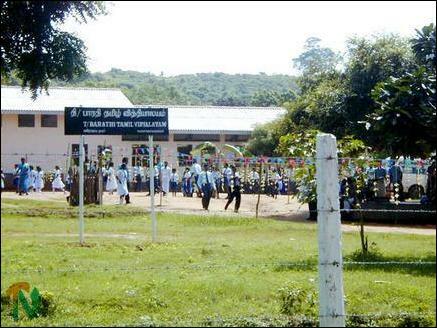 About 270 students have been currently attending school and the teacher strength is about 11. NECORD officials should be thanked for providing a new building and other urgent basic facilities such as toilets and urinals, Mr. Arasaretnam. said. 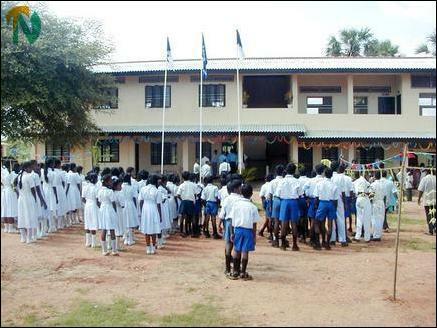 Guests are being received at the opening event of the new building of the Varothyaya Nagar school. Deputy PD Mr. R.Umakanthan who was in charge of the building project of the school recalled his visit to the school with ADB Country Director Mr.John Cooney to inspect the site for the new building with the fear of landmines because of the presence of the security forces in school premises and buildings. The guest of honour Mr.T.Lankaneson said, " We lived in a critical period for the last two decades. Now we have entered into a new era to develop our areas and the North East Provincial Council is to receive vast sums of money from foreign aid organizations to develop the province." "Now the time has come for us to assert our rights and develop our areas,"Mr.Lankaneson said. "I visited several coastal and other villages from Pottuvil in the east to Point Pedro in the north and found the sufferings of people due to lack of basic facilities such as education, health and transport. In some areas we have found schools functioning in structures worse than cattle shed. Wherever people especially villagers suffer the NECORD goes there and render assistance to their lives prosper," said Mr.Lankaneson. Mr.Lankaneson announced the donation of fifty thousand rupees by the NECORD to buy books to the school library. The chief guest Mr. S.M. 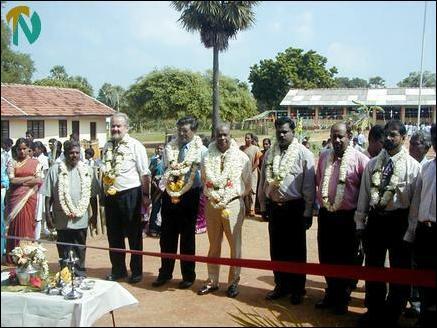 Croos said Trincomalee district is to witness massive development in the near future and it would generate more employment to youths of the district and the province. Hence the younger generation should be armed with necessary education and training to get employment. NECORD has implemented several development projects in the war ravaged province to alleviate the suffering of the people due to the war in the past twenty years, he said. 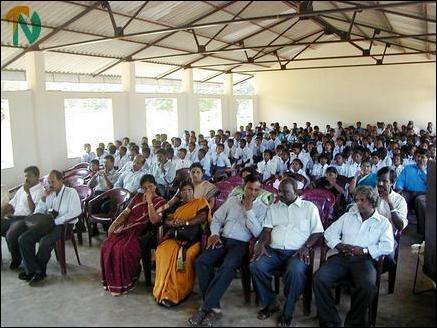 GTZ-NECORD Trincomalee team leader Mr.Ingo Guhr and Mr.M.Thevarajah, School Development Society secretary also spoke. 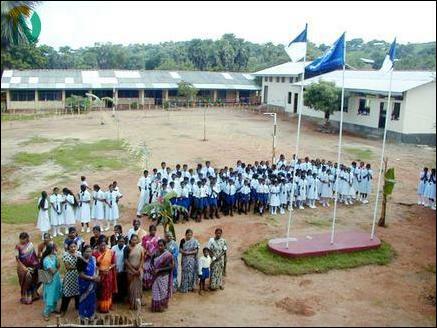 Students witnessing the opening event of the new building. A section of parents, teachers and public attending the opening event.